There are many traditional methods and ingredients that are used in the cuisinie of Kyoto. The soft and sweet bamboo shoots of Kyoto. The lustrous Kamo eggplant. The fragrant Tamba Matsutake mushrooms. The secret to the delicious taste of the Kyoto cuisine at Tazuru is our ability to maximize and bring out the natural flavors of each ingredient. That is the kind of Kyoto cuisine that we aspire to provide: our concept is that of creating delicious cuisine by treasuring the blessings of each season. We visit the market everyday and carefully choose only the highest quality Kyoto ingredients which is cooked using techniques which have been handed down through many years and transformed into beautiful works of culinary art. We endeavor to create authentic cuisine without changing the natural flavors inherent to each ingredient and we welcome guests to feeling the history of Kyoto at Tazuru. In Japan, the true purpose of a “Restaurant and Inn” is a restaurant and inn that is dedicated not only to providing a comfortable place to stay, but also to providing truly delicious cuisine which guests can enjoy. The owner personally visits the market every morning to ensure the selection of only the most best seasonal ingredients so that every guest can enjoy the delicious blessings of each season. 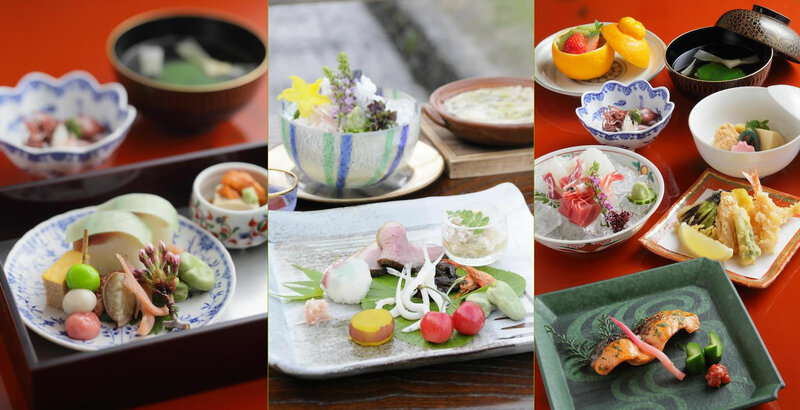 Each precious dish of our Kyoto cuisine is gently seasoned using traditional methods of preparation, colorfully arranged and served on beautiful tableware to match. The scenic view of Kamo River makes for the perfect complement to your meal and will make your trip all the more enjoyable. Guests not staying with us are also welcome to make reservations at the restaurant. Your accommodation is one of most significant factors for experiencing Kyoto. In spring, cherry blossoms bloom along the Takase River in Kiyamachi, and the flurry of cherry blossoms blowing in the wind evokes the magical, fairy tale-like feeling of Kyoto. During summer season (from May to the end of September), guests can take advantage of one of the traditional features of summer: “Kamogawa no yuka” where large wooden platforms and terrace seating is set up outside along Kamo River where seasonal cuisine can be enjoyed in open-air while taking in the views that over look Kamo River. Guests that dine on the Yuka can experience the true essence of Kyoto by taking in the beautiful scenery and gentle night breeze. Relaxing baths can be enjoyed on the 5th and 7th floor where spectacular panoramic views of the Kamo River and the 4 seasons of the year; the cherry blossoms in the spring, lush green colors of summer, and the autumn colors and leaves of fall, can be taken in. 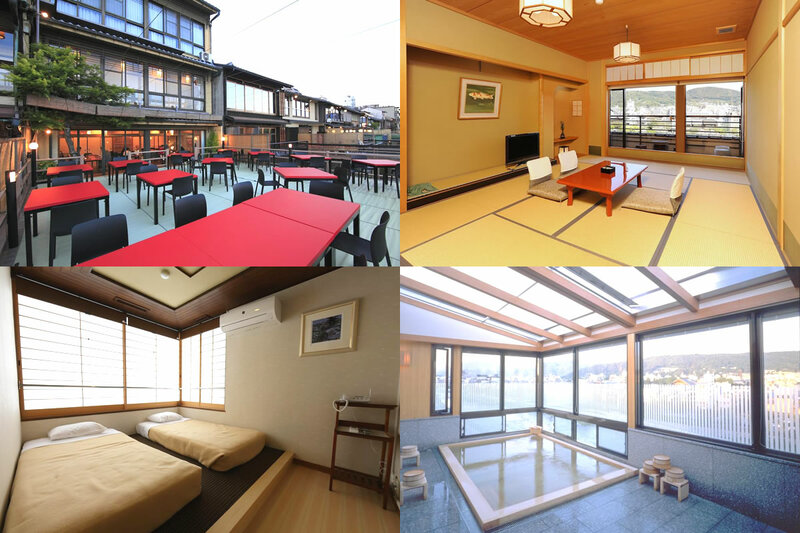 A variety of rooms are available, from traditional Japanese rooms with tatami mats to convenient rooms with beds.